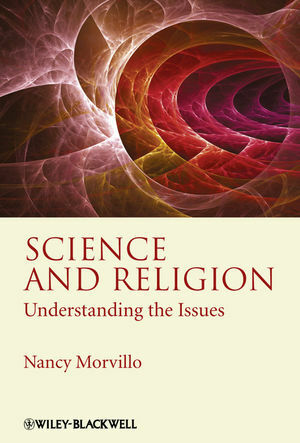 Nancy Morvillo is Associate Professor of Biology at Florida Southern College and co-director of the Florida Center for Science and Religion. She mentors undergraduate students in original genetic research and has published in a variety of scientific and educational journals. CHAPTER 1: LEARNING FROM THE PAST. CHAPTER 2: HOW WE KNOW WHAT WE KNOW. CHAPTER 3: EXPLANATIONS OF THE COSMOS. CHAPTER 5: CURRENT UNDERSTANDINGS OF THE UNIVERSE. CHAPTER 7: DARWIN CHANGES EVERYTHING. CHAPTER 8: SCIENTIFIC EXPLANATIONS OF THE ORIGINS OF LIFE. CHAPTER 9: EVIDENCE FOR EVOLUTION. CHAPTER 10: EVOLUTION AND DESIGN. PART FOUR: ETHICS IN A SCIENTIFIC AGE. CHAPTER 12: WHAT IT MEANS TO BE HUMAN. CHAPTER 14: THE PROMISE OF BIOTECHNOLOGY. CHAPTER 15: THE MEDICINE OF TOMORROW. CHAPTER 16: STEWARDSHIP AND THE ENVIRONMENT.